China has been expanding the growing area of many kinds of farm produce and has gradually reduced imports from Vietnam. Vietnamese paper makers are worried they will lack raw material for production if mixed paper waste import is banned. Vietnam appears poised for a surge of investment following the country’s move to lift restrictions on foreign ownership of companies, as Asian multinationals realize the benefits of having a presence in one of the region’s fastest-growing economies. Vietnam said on Wednesday (Oct 31) it has set up a web monitoring unit that can scan up to 100 million news items per day for “false information”, in a move that tightens its grip on internet freedom. By the end of 2020, the ratio of cash transactions is expected to be reduced to below 10% and at least 300,000 point of sales (POS) are installed nationwide. The 2018 Vietnam Digital Economy Forum (VDEF), themed ‘Challenges and Strategic Solutions for Small and Medium-sized Enterprises (SMEs) in the Fourth Industrial Revolution’, took place in Ho Chi Minh City on November 1. Obstacles to the valuation of the land use rights of State-owned enterprises (SOEs), especially those with multiple land lots in different parts of the country, have slowed the equitization of SOEs, said Minister of Finance Dinh Tien Dung at a question-and-answer session before the National Assembly (NA) today, October 31. PM Nguyen Xuan Phuc has suggested that Samsung expands its scale to make Vietnam the group’s largest strategic base. As the world’s leading producer of coffee, it is important to promote branding, value-added increases and global value chain participation for Vietnamese coffee, experts have suggested. The signing of the Forest Law Enforcement, Governance and Trade Voluntary Partnership Agreement (FLEGT-VPA) between Viet Nam and the European Union is expected to have a positive impact on the country’s economy and environment. Thousands of cafes have opened in the last three years serving ‘clean coffee’ or ‘100 percent pure coffee’. At the current market price of VND30,350 (US$1.3) per share, the planned shares of Bank for Investment and Development of Vietnam (BIDV) issued to KEB Hana Bank are worth VND18.3 trillion (US$735 million). Vi?t Nam, with its open and internationally integrated economy, had been enjoying a ‘golden population’ period with a high number of working-age people. 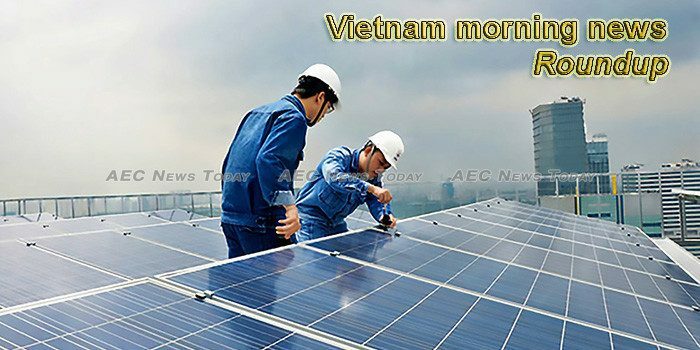 However, the quality of the labour force was not ‘golden’, experts said at a conference yesterday in Hà N?i. Vietcombank has made a significant step in becoming the first Vietnamese bank to open a representative office in the United States, it said on Wednesday. Local companies complain they are caught in the crossfire of new regulations against transfer pricing abuse by foreign firms. Lack of attention to registering brand names and geographical indications is causing difficulties to Vietnamese agricultural products, which are sometimes shut out of other markets after their names are usurped by others, heard a recent seminar. Almost four months after being detained by Vietnamese police, U.S. citizen Michael Nguyen is still being held in unclear circumstances with no charges filed against him, according to family members and congressional representatives working for his release. Tran Thanh Nam, deputy minister, Ministry of Agriculture and Rural Development, Vietnam, said that the Asian nation was looking for transfer of technology from India to strengthen its food processing and crop protection base. It was also keen on harnessing India’s strength and developing a mechanism for organic food production in Vietnam. This week’s Vietnam morning news feature photo acknowledges World Cities Day, October 31.